Duct & Vent Cleaning of America, Inc. opened for business in 1989. Our company strives to “Improve Lives Through Duct Cleaning” and understands the health benefits of duct cleaning and importance of clean air so we all can be breathing clean air. Immediately we joined NADCA, The HVAC Inspection, Cleaning and Restoration Association as one of its earliest members. We were the first company to join NADCA that used portable HEPA filtration vacuums in the cleaning process. Today there are many methods to clean ductwork and each job needs to be handled differently to achieve the desired results. Our company meets and exceeds the standards and specifications set forth by NADCA and our industry. Duct & Vent Cleaning of America, Inc. performs both commercial duct cleaning and residential duct cleaning. We primarily work in Virginia, Maryland, New York, Connecticut, Massachusetts, Rhode Island, Vermont, New Hampshire, and Maine. More specific service areas are shown on Google Maps in our websites markets drop down tab. Our company has performed duct cleaning and air conveyance system restoration throughout the United States. We have multiple offices, qualified Territory Account Managers and Field Staff to perform our services for our customers. Both directly and through our NADCA membership Duct & Vent Cleaning of America, Inc. has helped to promote the duct cleaning industry around the world. Michael Vinick our company President held a board position at NADCA for 11 years and served as the organizations President amongst other executive board positions. The mission of NADCA is to promote industry duct cleaning standards, specifications and certifications. As a member of NADCA we are required to have an Air Systems Cleaning Specialist (ASCS) oversee any work that is performed by our company. NADCA, ACR Standard is the internationally recognized standard for HVAC Cleaning. The standard provides reliable information for assessing new and existing systems, evaluating and verifying cleanliness of HVAC System components, and guiding the cleaning and restoration of HVAC systems to specific levels of cleanliness. The NADCA General Specification for the cleaning of commercial HVAC systems describes the minimum requirements necessary for HVAC cleaning. ”That’s the NADCA Advantage”. Duct & Vent Cleaning of America, Inc. is proud to have an air duct cleaning client list that includes government agencies, municipalities, state governments, Fortune 500 Companies, small businesses, healthcare facilities, universities and homeowners. We are considered one of the foremost duct cleaning companies and would be honored to serve you. Please call us at 1-800-442-8368. Duct & Vent Cleaning of America, Inc. marks an important milestone in 2019 - its 30 year anniversary. Duct & Vent Cleaning of America, Inc. was founded in April of 1989 to address the emerging need for commercial and residential duct cleaning services. Duct & Vent Cleaning of America, Inc. (DVCA) recently completed a project to clean specific areas of the HVAC system for the new $950,000,000 casino in Springfield, Massachusetts. We were hired by the sheet metal contractor at the direction of the property owner to work on a time and material basis. This time sensitive project included cleaning the air handling units (AHUs) and ductwork, which allowed the building to undergo the final stages of building commissioning. Michael D. Vinick, President at Duct & Vent Cleaning of America, Inc. is regarded as an industry leader, joining the organization in its early stages in 1990, as one of NADCA's first members. Since then, he has been instrumental in helping the organization grow to over 1,300 members throughout the United States and into an international organization. 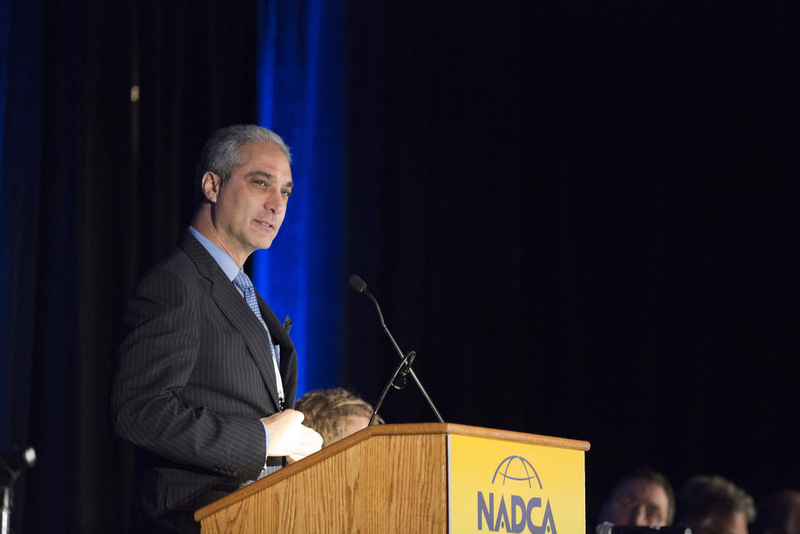 In April 2015, Michael became President of NADCA. Proud Member of the Indoor Air Quality Association, Inc.